Breton Communicationsis pleased to announce that the results of the first-ever online survey of Canadian eyecare professionals are now available for purchase. As a trusted source of information onCanada’s optical industry, the company received numerous requests from both vision care practitioners and suppliers for industry statistics that weren’t available elsewhere. As a result, Breton Communications is launching OPTI-STATS, a web-based data gathering tool. 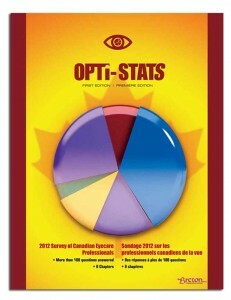 The 2012 Survey of Canadian Eyecare Professionals was launched in May 2012 and conducted over a period of three months. Email invitations to participate were sent to approximately 4,900 optical professionals and retailers. More than 960 professionals responded by starting the questionnaire and over 530 completed it, a 57 per cent completion rate. The survey included questions on demographics, sales, Internet usage, marketing, purchasing, human resources, eco-responsibility and an overview of the industry. The results provided a very detailed portrait of the Canadian market: a greying industry with 67.2 per cent of respondents aged 40 or older, 66 per cent independent retailers, 30 per cent chain stores and the majority of respondents located in Ontario and Quebec. Also, in spite of recent economic uncertainties, the sales report was fairly positive, with 33.9 per cent of ECPs indicating that sales were slightly higher in 2011 compared to 2010. Breton Communications plans to conduct more surveys in the future, providing comparative analysis and trends insights against this first baseline report. 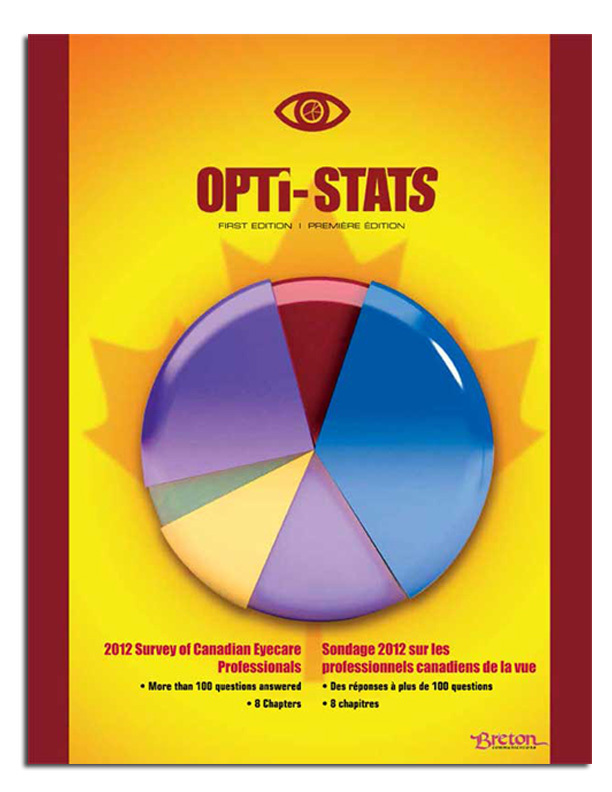 For more information or to purchase the PDF results online, please visit: www.envisionmagazine.ca or www.envuemagazine.ca. This entry was posted in Autre by Envision Magazine. Bookmark the permalink.